Today’s consumers want to have conversations with their devices. They want operating systems that recognize their voices, understand what they are saying, and take action that is appropriate for the situation. Voice recognition and conversational user interfaces (CUIs) aren’t new technologies. They have, however, come a long way since the first models surfaced back in the 1980s. Today, conversational interfaces are taking over the web and quickly becoming indispensable as a UI/UX design feature. Get to know this technology and how websites can use it to engage with users on deeper levels. 95 percent of consumers believe that the primary benefit of chatbots is to improve customer service. 57 percent of consumers say they’re interested in chatbots for the immediate connection with the company. 55 percent of consumers are interested in connecting with companies using messaging apps when they have a problem. 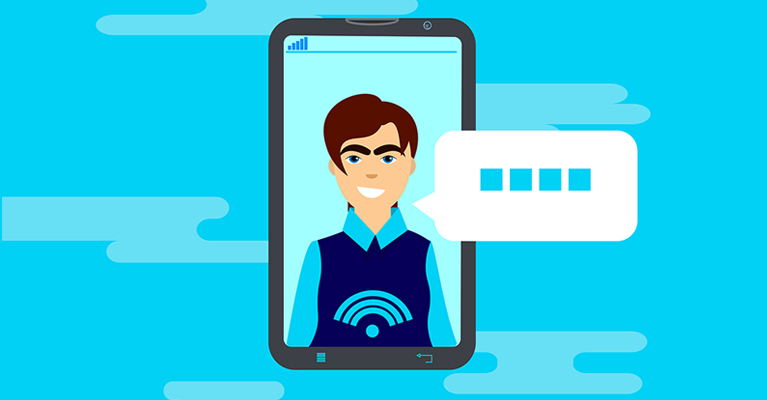 48 percent of consumers prefer to communicate with a brand via live chat than any other means of contact. 47 percent of consumers say they’d purchase goods or services from a chatbot. 35 percent of consumers say they want to see more companies using chatbots. 27 percent of global consumers are “very interested” in AI-based tools. 21 percent of people say that chatbots are the easiest way to contact a business. Last year, researchers valued the chatbot market at $702 million. Between 2016 and 2021, there are predictions of market growth at a compound rate of 35.2%. By 2021, researchers predict $4.5 billion in enterprise intelligent assistant investments. There is no question that chatbots and other conversational AI are excellent marketing strategies across companies in any industry. Now it is just a question of how businesses use CUIs to generate new leads, increase user engagement, and seal more conversions. Personalize the conversation for each user. Personalization is a primary goal on the minds of every modern marketer. This principle still applies to chatbots as well. Companies see the most success with online chats when they refer to the user by name, and create realistic and friendly conversations. Mix visuals with communications. Technologies, such as the Amazon Echo Show grant users a different experience with CUIs. They blend the capabilities of voice-based chatbots with video to give a better user experience. Visuals can prove especially useful during complex customer interactions. Give recommendations for solving the user’s problems. The chatbot should have the ability to comprehend the user’s question and suggest appropriate solutions. A good chatbot will recognize an input and quickly list recommendations for how to move forward. Use emojis to brighten the tone. Emojis can create a sense of warmth and personality that makes conversations with chatbots feel more like conversations with friends. Using emojis appropriately can help cultivate a rapport between the chatbot and the user, and an easygoing discussion the user feels comfortable having. Design for everyone. Make your voice user interfaces accessible across the board. For example, in order not to ostracize users who are deaf or hard of hearing, use design elements such as volume control, multimodal interactions, or transmitting to hearing aids via Bluetooth or FM to create an effective and comfortable CUI experience for everyone. Consumer-oriented chatbots offer unique advantages over traditional communications methods, such as real-time responses and getting help exactly when you need it. The overall goal for any type of conversational interface should be to replace interfaces users currently use to communicate with a company. CUIs should provide a simple and effective way to respond to consumer needs and assist them through the sales funnel. Define your goals for your chatbot. Don’t add a chatbot just because your competitors are doing it. Define your unique business goals for doing so, and then build your bot according to these goals. Outline the audience you want your chatbot to interact with, and choose its main mission. This may be to spread news about your company, offer technical support, or make e-commerce shopping simpler. Create a plan. Once you know why you’re making your chatbot, create a plan for how your interface will help your customers reach their goals. Plan how the dialogue will look when users ask certain questions or request actions. You will need to determine your chatbot’s responses based on user input. Map out user interface elements. Next, design how you want your UI to look and operate. You may want your chatbot to look like a typical instant messaging chat application. Thanks to AI however, your live chat will have a few differences. For example, you may want buttons users can press to narrow down the conversation, or a “Smart Reply” button that automatically gives pre-written responses based on input. Choose your chatbot style. There are two main types of CUIs: retrieval-based and generative. Retrieval-based chatbots use a collection of answers to resolve common problems. It is not very intuitive or personal. Generative chatbots are close to self-learning AI machines. They use natural language processing to sound more human, and machine learning to process inputs, categorize them on the fly, and come up with an appropriate response. Figure out the framework. Once you’ve designed the UX, tackle technical components of building your CUI. Enlist the help of professional developers for this process if your team does not have the necessary capabilities. 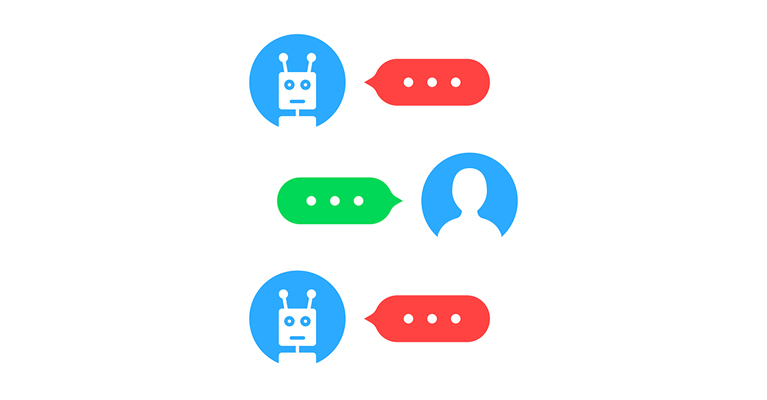 There are several common chatbot frameworks you can choose from during initial setup and development to simplify this process. Your developers can bring your chatbot design to life on the framework that works best to achieve your goals. Ideally, you can then sit back and relax while your conversational user interface does the work for your company. CUIs are the wave of the future for consumer-brand interactions. Hop on board and reap the rewards with a carefully executed chatbot of your own.